Marijuana has been and continues to be the most commonly used illicit drug in the United States. This is despite the fact that marijuana has been legalized for recreational use in eight or more states, and many other states have legalized the use of medical marijuana. With all the people using marijuana and the relaxing government restrictions on its sale and use, many people don’t regard marijuana as a problem, or even a drug. For a while, despite his family’s attempts to help him and make him see what he was doing to himself, he was in denial about his addiction and substance abuse problems. Eventually, his family got through to him, and he realized that perhaps he did have a drug abuse problem, with the pills. He enrolled in an outpatient rehab program and when he left it he was confident that he could now stay off the pills and just smoke marijuana and drink alcohol. Within four or five days of this, however, he was back to taking the pills as well. Two months later, in the summer of 2001, Greg blacked out during a drug haze and crashed his car into a tree. He stumbled away from the wreck bleeding and missing teeth. His parents were surprised by a late night phone call from the police saying they had found his car and that it had his blood inside, but he that was missing. He was found by the police later that night, and they brought him back to the scene of his accident, where his family was waiting for an ambulance. He begged his mom to sign him into her care so that he wouldn’t have to get in the ambulance and have his blood work taken and the truth of his drug abuse known. She refused, saying that this time, he needed help. He woke up in the hospital with his tearful family around him, and for the first time, he realized that his addiction was not just harming himself, it was destroying the people who loved him. 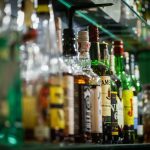 Fearing legal repercussions from his accident, and wanting to appease his family, Greg agreed to go to a five-day inpatient rehab program without having any real intentions of getting sober. However, while he was there, his family and a social worker had a meeting with him. They wanted him to go to another treatment center to attend a month-long inpatient drug rehab program. He didn’t want to go, but one of his family told him that they would rather him go to jail than come back home, because then they would know that he was safe. That statement hit Greg hard, and he agreed to go. Again, he went to rehab without any true intentions to stay sober, because he didn’t want to stop using. Fortunately for him, this changed about halfway through the program when a counselor asked him if he thought after the program he would be able to go back to living in a college dorm and stay sober. He answered as he always had, that of course, he could. However, as he went back to his room and continued to think about the question, he realized that he was wrong, that he had always believed his own lies to himself thought that he was right but the fact that his actions and decisions had brought him here showed him he had been wrong. And now, he knew he needed to ask for help. He spent the rest of his time in the rehab program asking for guidance and advice about what his next steps should be from his counselors, family, and his peers in the program. After the rehab program, he continued his recovery treatment with a 90-day halfway house program for men where he found that the treatment and peer support very helpful building a support structure for his ongoing recovery. Greg has stayed sober since July of 2001 and co-directs a Connecticut organization that provides addiction recovery support to drug addicts and their families. 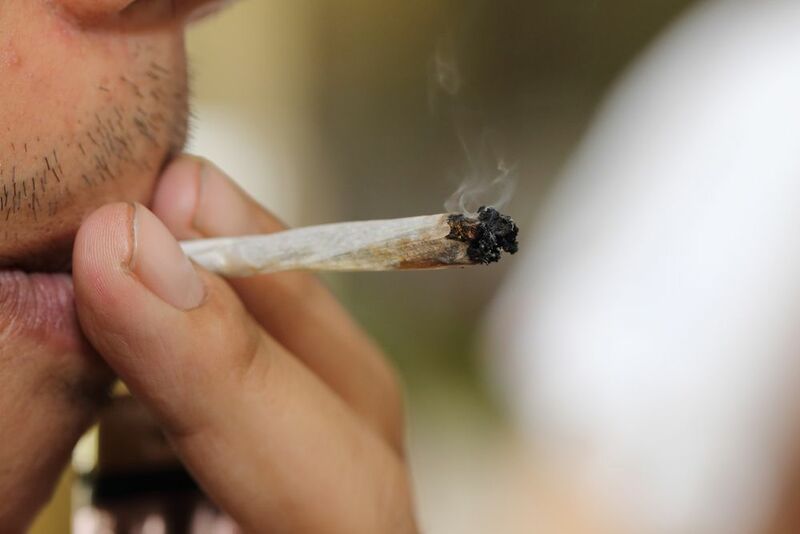 In recent years, the perception of marijuana has changed and it is thought that using it is somehow less dangerous or addictive than using other drugs. Subsequently, stories like Greg’s have, unfortunately, become all too common, where marijuana is its own stand-alone addiction, or, as in Greg’s case, marijuana leading the way and becoming a large part of, and a contributing factor in a much more extensive addiction. Marijuana is a drug made up of the leaves, flowers, or extracts of the Cannabis sativa plant and some other members of the hemp plant family. Marijuana is known by many names including pot, cannabis, weed, hash, grass, and many others. Cannabis sativa is widely grown in the US and the world. It is often grown illegally in places where it is restricted but in some of those states that allow it, growing pot has boomed as a new cash crop industry. Using marijuana can cause the user to experience numerous effects. Using marijuana for longer periods of time opens the door for a number of health risks. Respiratory and lung problems from breathing the smoke. Mental health effects, such as impaired memory, or decreased motivation or interest. Cardiovascular problems caused by the elevated heart rate marijuana causes. In addition to these risks, marijuana use has all the other risks that come with using an addictive substance. Dependence. This can be both a physical and/or mental dependence where the user feels that they need the drug to live their life. Tolerance. This is when the body becomes depleted and the user needs to take more and more marijuana to keep feeling the good effects they desire. Withdrawal. Not everyone experiences withdrawal when they quit marijuana but many do. These symptoms are different person to person but tend to be less intense than those symptoms associated with other drugs like heroin or cocaine. Overdose. While it is not thought to be practically possible to smoke enough marijuana to constitute a lethal dose, it is certainly possible to take too much and become negatively affected. Addiction. Becoming so dependent on a harmful substance that getting it and using it become more important than the negative effects on the user and those around them. Denial that there is a problem is a common aspect of addiction. 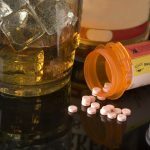 Treatment for marijuana addiction can differ from other drug rehabs because it is often less of a physical addiction and more of a mental dependence issue. Such programs may involve a detox treatment as well as counseling and guidance for the strong mental aspect of marijuana addiction. To learn more about weed and how you can find the best marijuana addiction treatment, contact New Beginnings today. We can help you on the path to recovery.